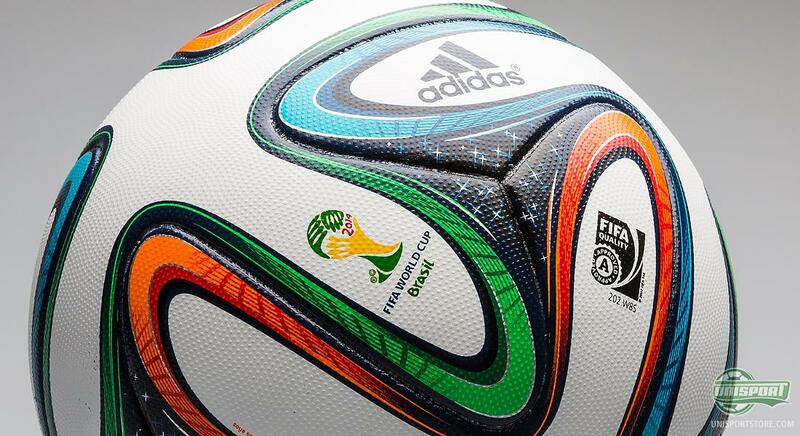 In the beginning of December came the brand new Adidas Brazuca, which will be used for the World Cup tournament in Brazil in the summer. 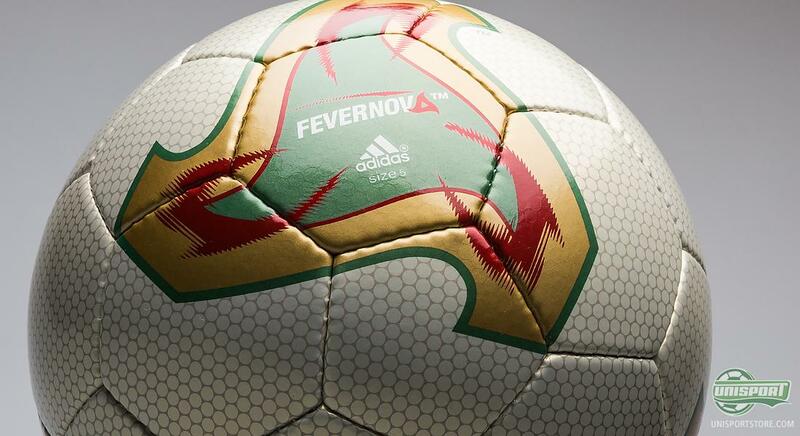 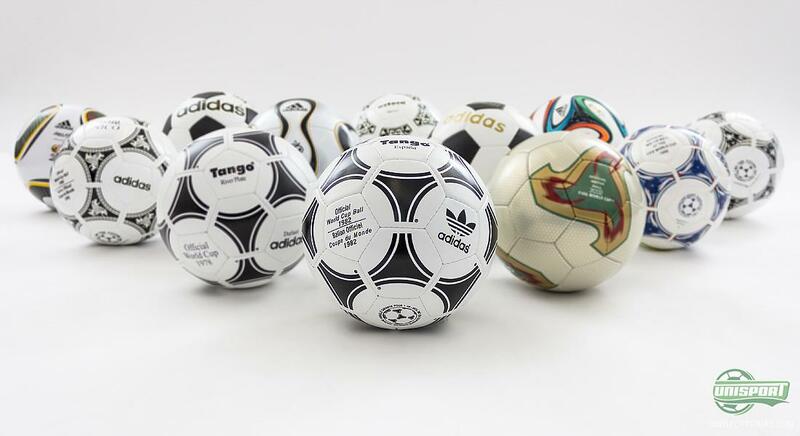 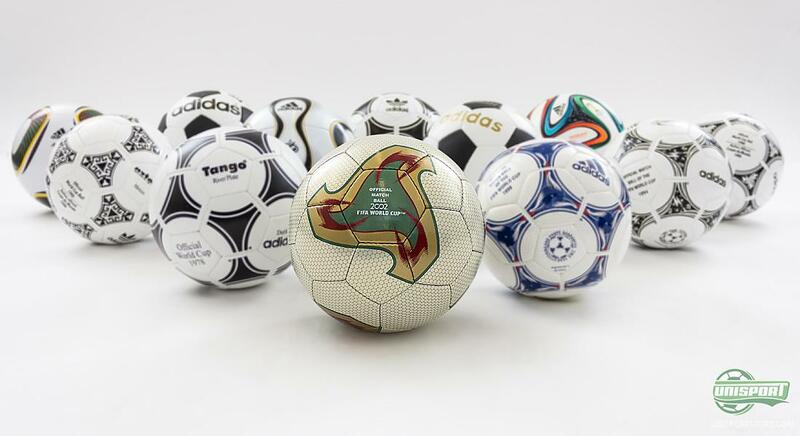 With the launch it wrote itself into a long list of World Cup balls, which we will take a closer look at right now. They have done it over and over again. 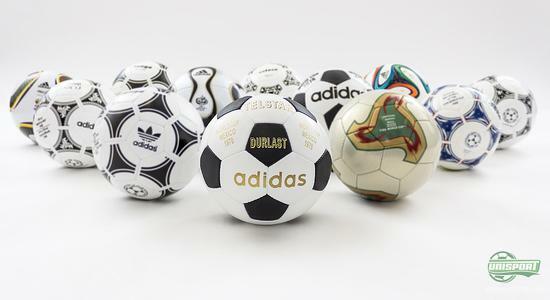 Since 1974, Adidas have been in charge of the World Cup footballs, which has resulted in a long range of iconic, colourful, criticised, coveted and innovative footballs. The latest edition is the new Adidas Brazuca, and now that the Christmas stress has settled we take a look back at the historical footballs. 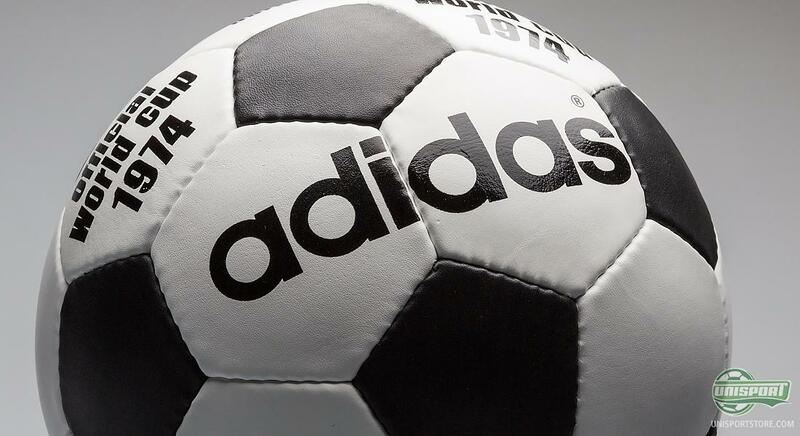 Back in 1970 at the World Cup in Mexico, Adidas launched the, at the time, innovative and revolutionising Adidas Telstar, which had 32 panels in black and white. 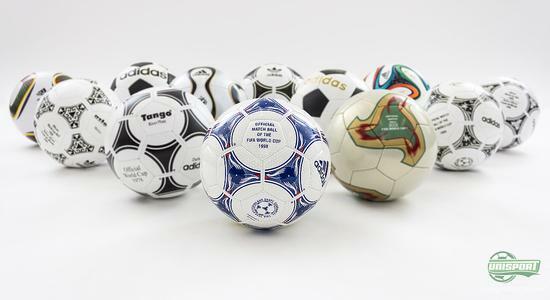 The goal was to make a ball that was easy to recognise for the TV viewers, and it certainly was, especially for the Brazilian fans , who triumphed and could write another World Championship in the book. 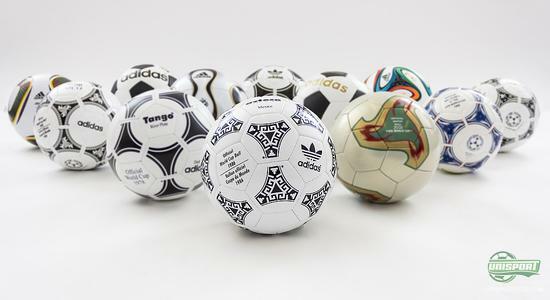 Four years later another World Cup was on the menu and once again Adidas were ready to deliver a World Cup ball. For the World Cup in West Germany in 1974 the world was presented to the upgraded Adidas Telstar Durlast. The ball quickly became in icon and even if Adidas had kept the design from the first Telstar, there had still been room for graphical updates on the ball, including more black colours. 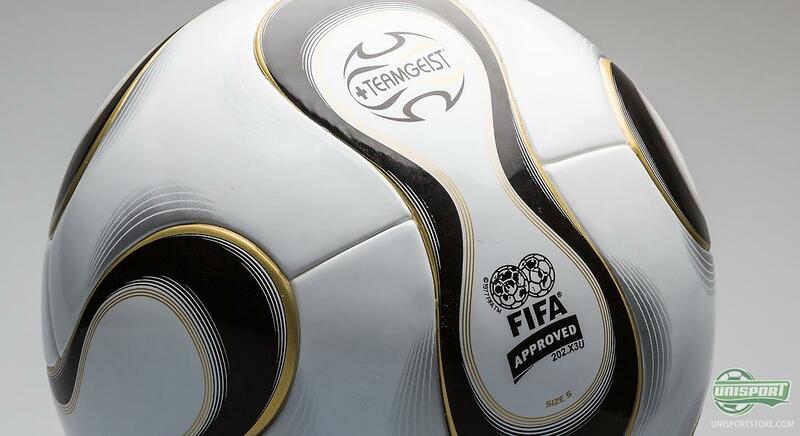 If we turn the time another four years ahead it was now Argentina's turn to host a World Cup tournament. 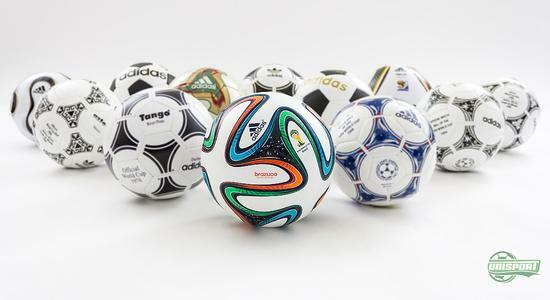 In the southern heat the world was presented with, on top of great football, an elegant football. 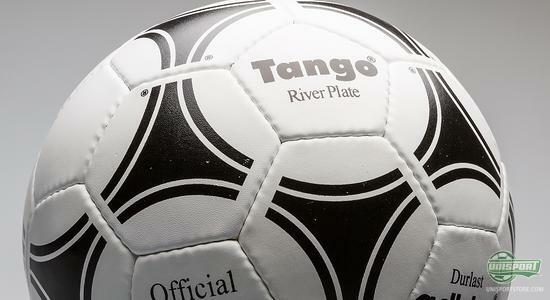 It was the iconic Adidas Tango football, which, different from the Telstar, just had 20 panels. 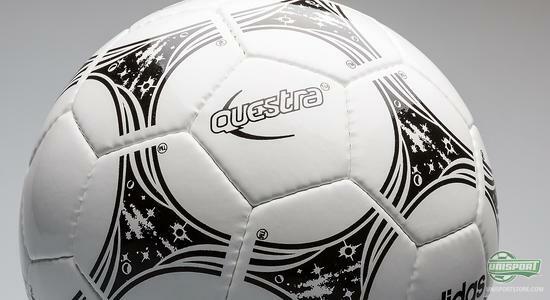 The ball also became the start of an era with a classic design with seven white circles. 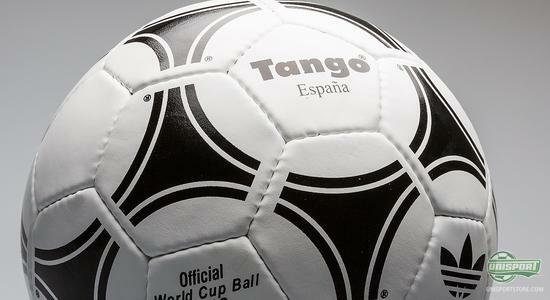 When the World Cup was held in Spain in 1982 it was actually the end of an era. With the launch of the Adidas Tango Espania the world got a ball that was rather similar to the one from four years earlier. 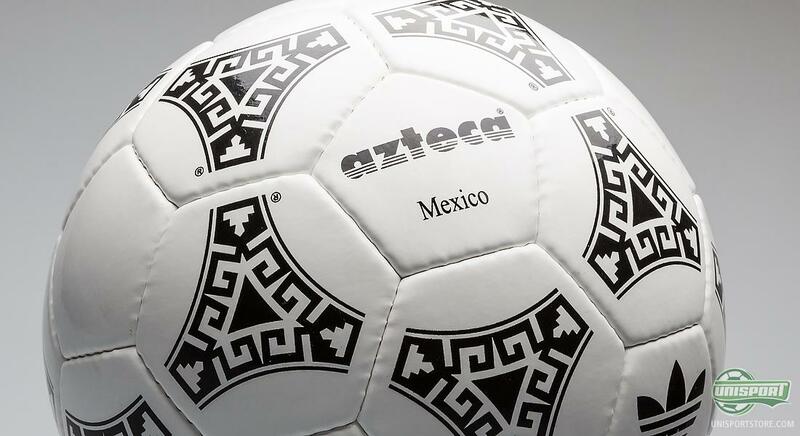 The design was slightly different but, but most noticeably for the historical picture was, that it was the last full leather football. At the World Cup in Mexico in 1986 the world was presented to the Adidas Azteca Mexico. It was quite the revolution, as the ball, different from its predecessors, was made of a synthetic material, hereby making it more water repellent. 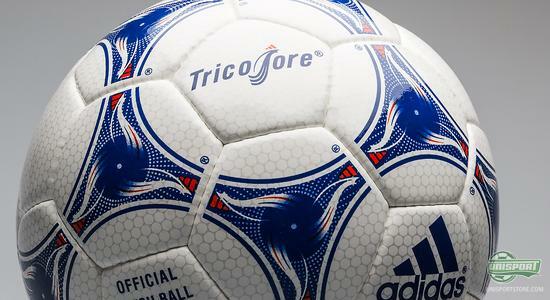 In 1990 the time had come for Italy to host the World Cup tournament, and true to custom Adidas delivered a brand new World Cup football for the occasion, the Adidas Ertrusco Unico. 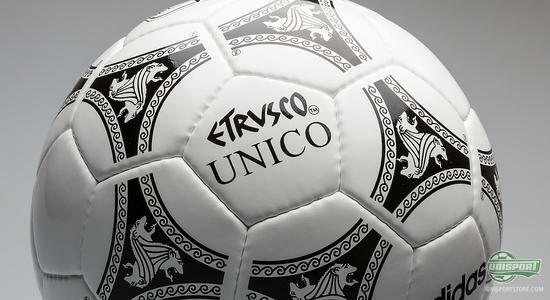 The name on the ball was inspired by the proud historical heritage of the Italy and especially the Ertruscans. 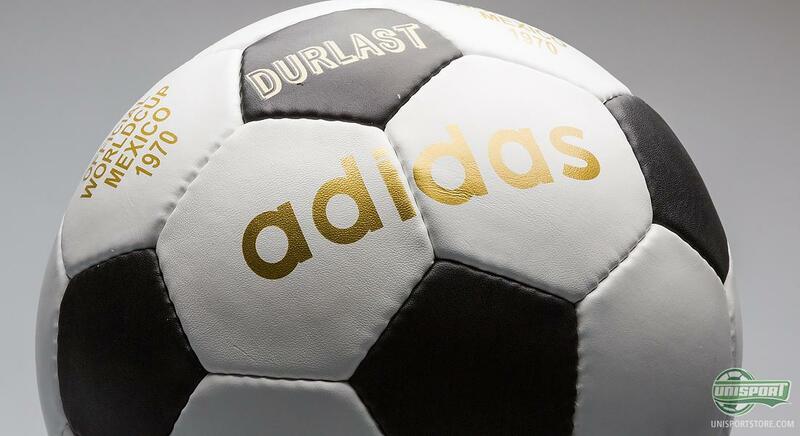 At the World Cup tournament in USA in 1994, Adidas had worked on improving the water repellent features of the World Cup ball, and the result was the Adidas Questra. 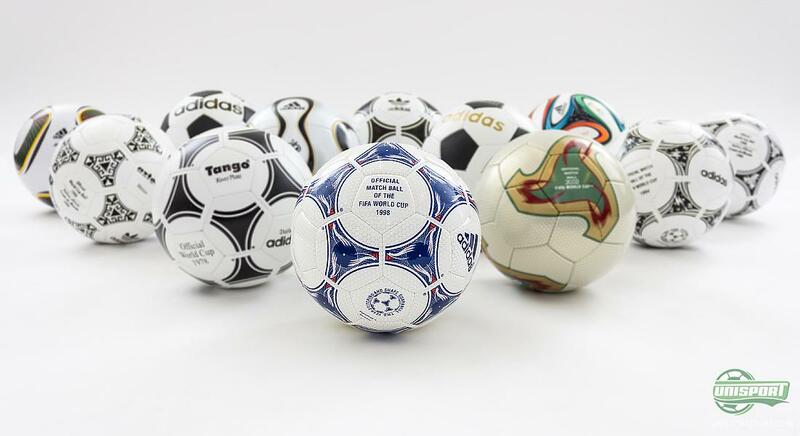 The ball was built from fives different layers in order to make it better at repelling water. After many years with white and black football, Adidas in 1998 moved away from that design. Instead they went a combination of blue and white. 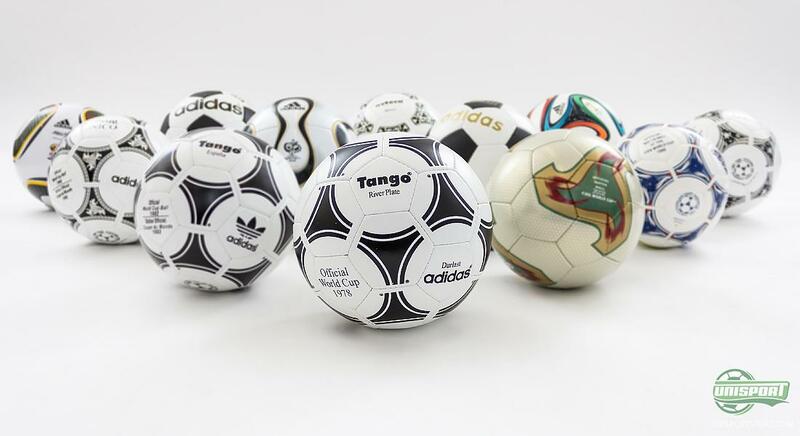 The Adidas Tricolore is a historical legend, as it is the first World Cup ball with colours, in addition it also became the last ball with the iconic Tango design, which made it all the way to 1998. In 2002 the World Cup was held in Japan and South Korea and for this Occasion, Adidas had created a football that truly shook the long tradition with footballs with classic designs. On top of having a unique design, the Adidas Fevernova was also made with a thicker inner layer in order to improve the balls flight through the air. 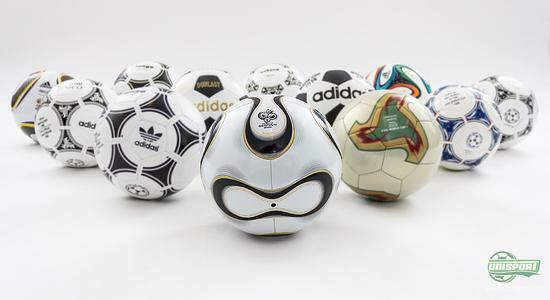 For the World Cup in 2006 in Germany, the world was presented to the Adidas Teamgeist, and in the Adidas home country they naturally delivered some significant technological initiatives. Different from previous models, the ball had just 14 panels, and the ball was launched a message of being more round and provide a cleaner strike, regardless of how you would strike it. Now we are getting close to the present and the latest World Cup tournament, which took place in South Africa. 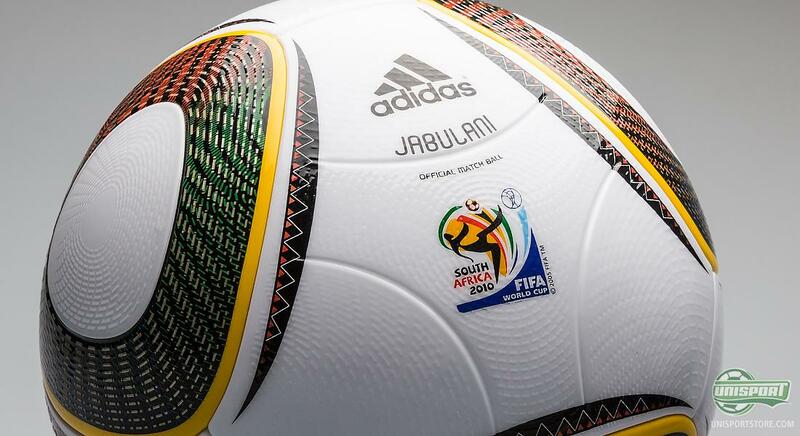 Here we got introduced to the somewhat criticised and very much talked about Adidas Jabulani. With the newly developed Grip'n'Groove the ball was to provide a cleaner flight through the air, but there were quite a few goalkeepers who did not appreciate the ball very much. 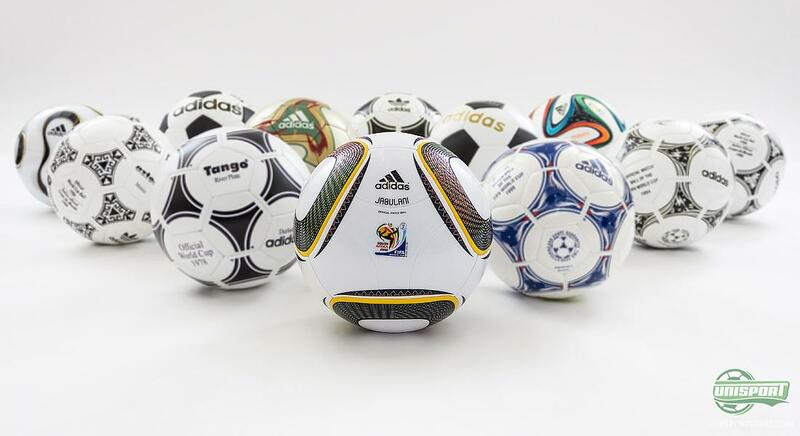 The latest addition to long history of World Cup footballs is the Adidas Brazuca, which we have already taken a close look at, although it still hasn't been given its official début yet. The ball comes with a new structure with six symmetrical and identical panels, as well as a different surface, which is made to provide better grip, touch and stability, and also aerodynamic. 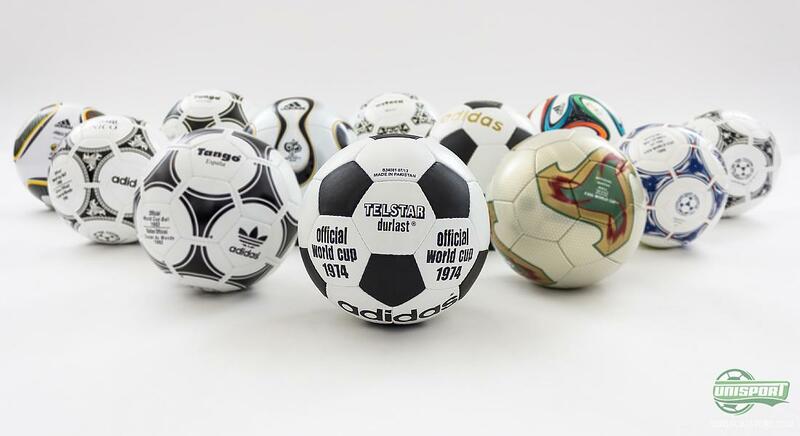 Adidas can boast a long tradition of delivering the World Cup football which has resulted in a long list of iconic balls over the y ears. Which ball do you remember most clearly? And which of the balls is your favourite? Feel free to share your comments either here, or on Facebook and Twitter.